SELOR Version 1.5.2 stable. Available. SELOR Version 1.5.1 stable. Available. Selor MySQL Module 1.2 . Available. SELOR Version 1.4 stable. Available. MTA Selor is an open source mail server (SMTP), developed to run on Linux and FreeBSD systems. Written in C and Assembly, MTA Selor is small, fast, flexible and secure. The rules files are executed in events that occurs in all moment during the process of a email. When a host/client connects via TCP/IP, the event 'Connection' occurs and the rules file specified by 'Event.connection' in selor.conf is executed. In a rules file you can execute several actions based in conditions. 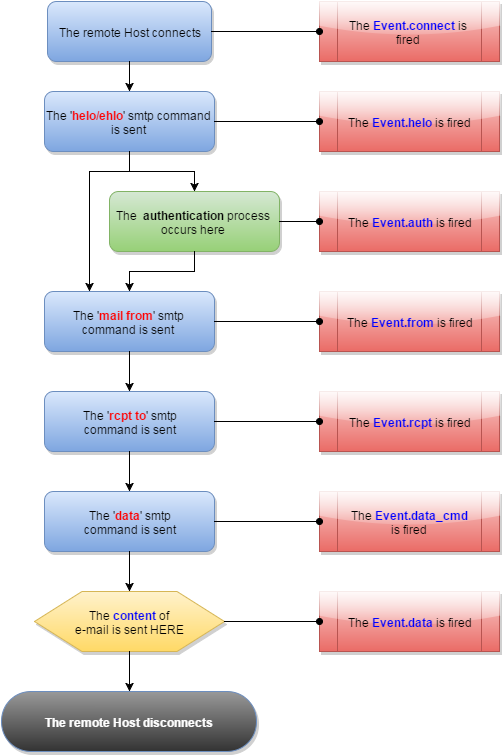 Event.lrcpt_refused Event fired when a remote host specifies a recipient that is not accepted by local server.